Love your casual outfit. These pieces are great together. Lovely bag. 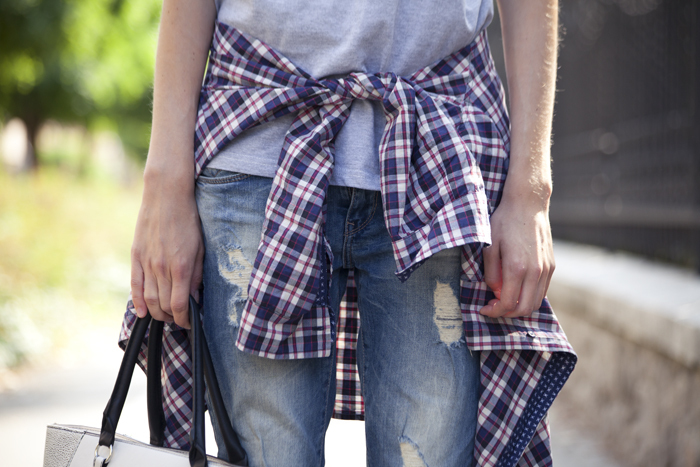 Fabulous bag and checked shirt! Great combination! Love the mix from casual and chic! Oh I love this outfit, you've taken casual to a new chic level! Love this looks and the jeans and heels look so cool together! Love the look, it's just perfect! Perfect look! Love love love everythings! Perfect look, I absolutely love its casual vibe. Also, do you have google friend connect? I want to follow you but i dont have Google+ or bloglovin! Beautiful, love the casual chic look. Absolutely love you glasses and bag! Your blog is very cute! I love your outfits and style.